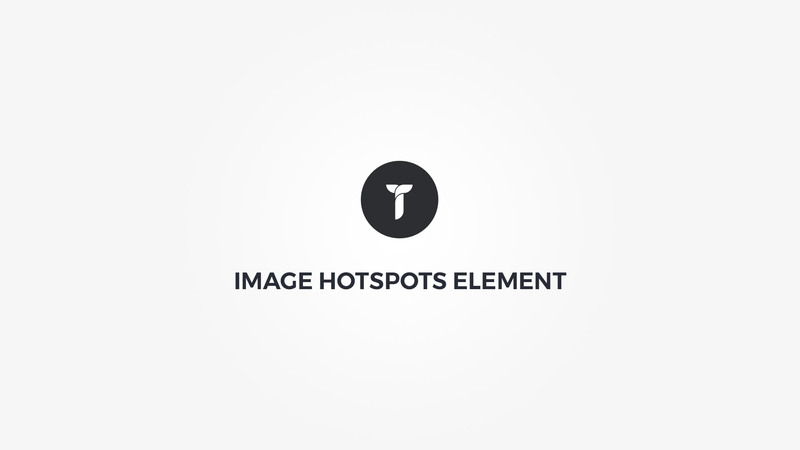 Hotspots area - Click on hotspots area to create new hotspot. Click on hotspot to open its settings. Click and drag hotspot to change its position. Add/edit image - Select the hotspots image. Hotspots metrics - Set global hotspots metrics. Hotspot mark is disabled if size is small. Global hotspots colors can be set here. Every hotspot also has a color options set wich than takes precedence over these color settings and theme defaults. Container box style - Adjust .thz-hotspot-image-container box style. Animate hotspots - Add animation to hotspots. Hotspot colors - Adjust hotspot colors. This option overrides global hotspots colors. Hotspot link - Add hotspot link. Delete hotspot - Click on the button to delete this hotspot. Note that there is no warning before the removal! Tooltip metrics - Adjust tooltip metrics. Tooltip text - Add tooltip text.